Next Article It was big. It was blue. It was skeery. Alisa–if it ain’t Zac Efron, it just ain’t. You DO know that they are doing a remake of Footloose, right?! Unfortunately…the High School Musical heartthrob turned down the role, and they’ve cast a “nobody” (for now!) as Ren! Sarah–I had a paper route w/Julie when we lived on Dayton. We each made $30/month and thought we were rich. How did we never do it together? And this post really was dedicated to you–you were jumping off the back of that truck with me! (Don’t let her deny it, people.) I clearly remember sitting in your living room, listening to the FL soundtrack you’d bought w/your own paper route money. Your mom totally sang along to all the songs. Bless her. Danelle–Salt ‘n Pepa? Cheerleading? We ARE kindred spirits! Did you ever do one to “Cold-Hearted Snake?” We need to get together and jam, for our children’s sake. Amy–I’m sorry about the popcorn (that made me laugh, hearing how you laughed.) But I think I WILL need you to tell me how it ends–I still can’t bring myself past page 80! Melissa–I loved SJP, too (not so much now.) And I’m a total closet “Mystic Pizza” fan–why did Julia have to go and get so skinny on us afterward? Lisa–I wish I could tell you how it ends, but I don’t think I’ll be getting there. Allison–who is Zak Bagan? Sceerier than the count? Really? I better stay away. Jen–I would give Ren my last cigarette to see “Footloose” on stage. Lucky! And did your little honey wear the same smokin’ tight clothes that Kevin Bacon wore? No wonder you were crushin’. Matt–“Lori Singer kicks puppies?” I refuse to believe it. You’re just being mean. I am laughing out loud. 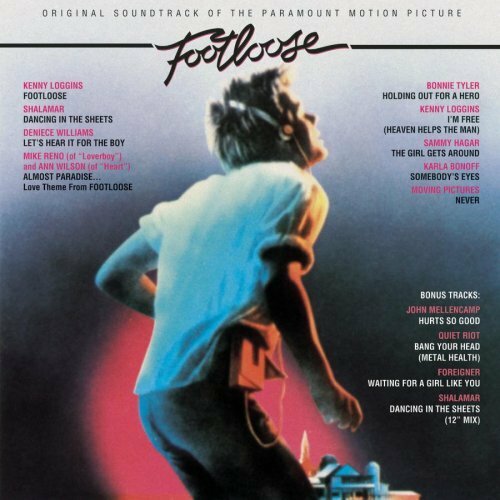 FOOTLOOSE… Oh the memories. I could go on about that one for a while. Love that flick. Plus the house I spent 12 years living in is very near the tractor scene- you can almost see it! The excitement of that was unbeatable back in the day. I have not started Dracula yet. I need a copy. I admit I’m kind of avoiding it because I’m skeeered too. I read at night, when the vampires in my imagination sort of run wild. Skeeery. Almost as skeeery as tight, pink, paisley stirrup leggings fashionably covered to mid thigh with a v-neck forest green sweater vest (at least 4 sizes too big) under which I wore a mock turtle. And don’t forget the cute bunchy socks. Can you say HOT FASHION? Cuz I can. Middle school was the bomb. We saw Footloose as a play and it was SOOOO fantastically wonderful. They cut out some of the smoking, swearing, etc and the guy who played Ren–I had a serious, Cliff R. crush going on with that guy. It took me months to get over it. I just laughed so hard that I snorted popcorn, which I didn’t even think was physically possible! Jen, I’m skeered of it too. However, I am also completely sucked into the creepy, eery, what’s going to happen next vibe! Don’t worry, we’ll tell you how it ends! I have to enumerate my comments in order to not deviate or leave one out. 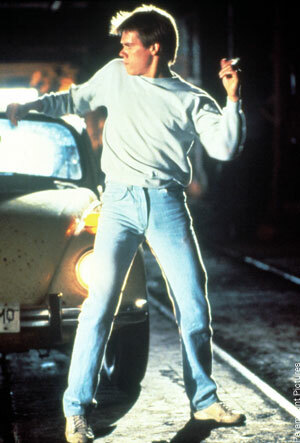 1) I can totally see Megan reenacting Footloose thinking she was so cool doing the “pickup kick up”. 2) I love your mom, but why was she sewing your gym shorts? I’m confused. Didn’t the school provide some germ encrusted pair of shorts that were two sizes too big or five sizes too small? 3) Where do you even buy mussels? 4)I need to START Dracula! I’ll be finished with the book tonight. But I got sucked into the Ghost Adventures marathon this weekend, and the book is less creepy Zak Bagans’s hair. You KNOW I love Footloose. But how do you remember the characters’ names so well? And every scene verbatim? Have you seen it recently? Or are you really THAT good? You had a paper route? How self-absorbed I was back then!! In my mind, I was treating you with a sort of novelty by letting you help with MY paper route. In your swimsuit. I can’t watch skeery movies, read skeery books. They are unnerving and I just don’t enjoy that genre. Even “Lost” was too much at times. I’m a wimp. I read the majority of Dracula and was thoroughly enjoying it, and then nursing school started. end of story. please tell me who survives when you finish reading it, because i have to admit i still wonder about it, especially this time of year. My brother used to live in Lehi (where they did a lot of the filming) and the old mill house is still there. I have it on good authority that Lori Singer kicks puppies.